The team at bite Family Dentistry is made up of knowledgeable, caring, and experienced people. The team works hard to ensure you feel comfortable and are well cared for during your visits. We are always happy to answer your questions, so don’t hesitate to ask. We keep our FACEBOOK page current with lots of dental information, preventive advice and news so please check us out and become friends! Leah graduated from Columbia College in Dental Assisting in 2006. After graduating she found her first dental job in Banff and has been living in the Bow Valley since. She is the treatment coordinator at our office and loves to use her dental knowledge and experience to help patients understand their treatment and insurance. In her spare time, Leah enjoys finding various adventures to go on with her husband, riding her bike, snowboarding, and cuddling her cats. 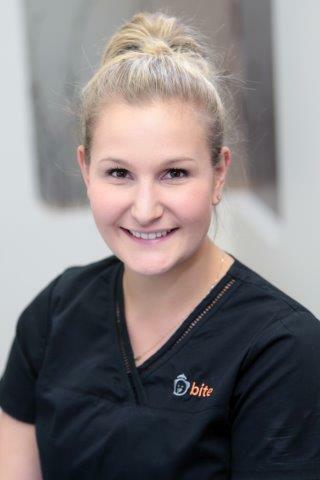 Jackie - Jackie - Registered Dental Assistant Jackie, one of our Dental Assistants is a long term Bow Valley local! After a brief stint as a Manitoban, Jackie returned to the Bow Valley in high school and married and made her home here. 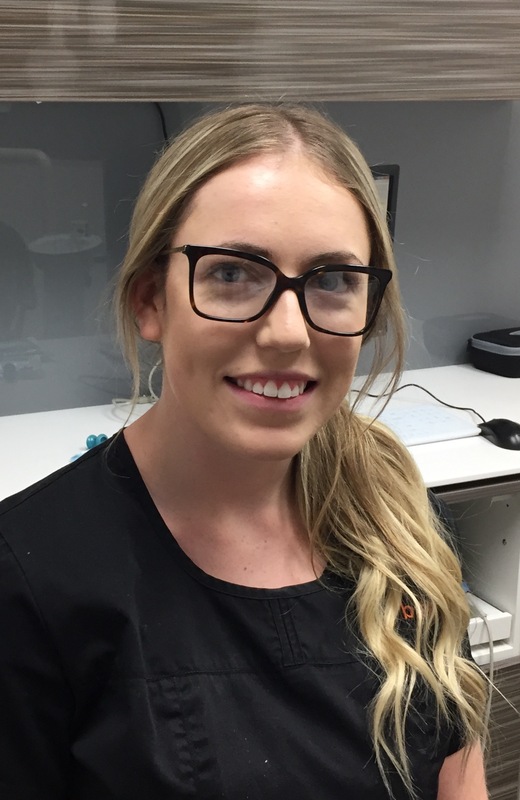 In September 2013 she became a Registered Dental Assistant and shortly after joined the bite Family Dentistry team. Her hard work and positive attitude are her assets and her soliloquys are constant entertainment! 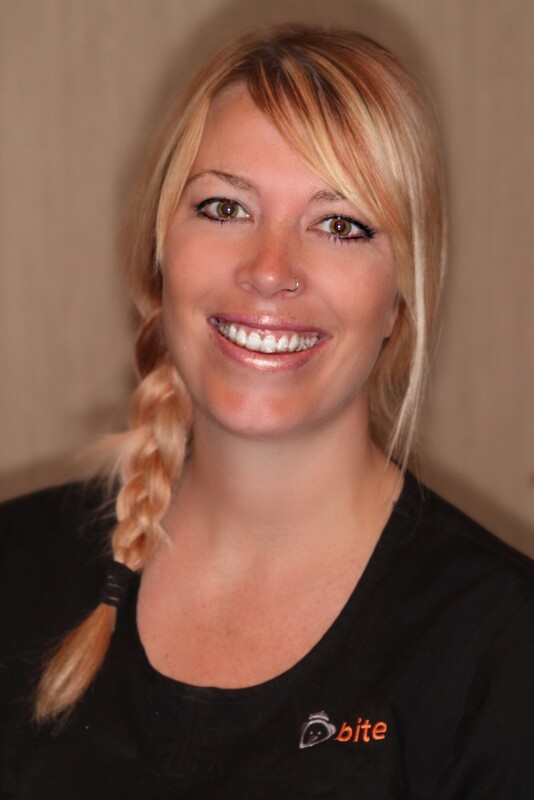 Molly - Dental Hygienist Molly, one of our dental hygienists, was born in Banff and raised in Canmore, and despite leaving to go to school in Toronto, she has lived in the Bow Valley her entire life. After graduating from Dental Hygiene, Molly immediately moved back to the Valley and joined our team. Molly is actively involved in the community, coaches basketball in Canmore and enjoys everything the Rocky Mountains has to offer. You will be sure to appreciate her kind and gentle nature at your next visit. Shiho - Sterilization Assistant - Shiho joined our team to cover Jackie's maternity leave a few years back, and we loved having her here so much she became a permanent member of our team. 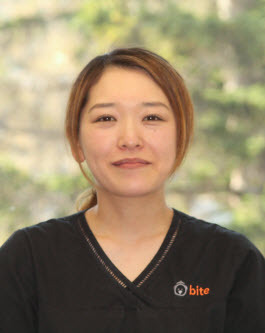 With years of experience working as a dental technician in Japan, she is very multitalented in our office jumping in wherever we need her. Shiho mainly works behind the scene acting as the Sterilization Assistant helping the office stay on schedule, or you may see her assisting with Dr. Schindler. She is a very hardworking and dedicated employee insisting she stay at work until just 3 hours before giving birth to her second son! When she isn't at the office Shiho is a busy mom raising her two young boys with her husband.